We also pointed out that San Francisco is an ideal place, in many ways, to start a transportation revolution that will act as an important model for the rest of the country to follow. 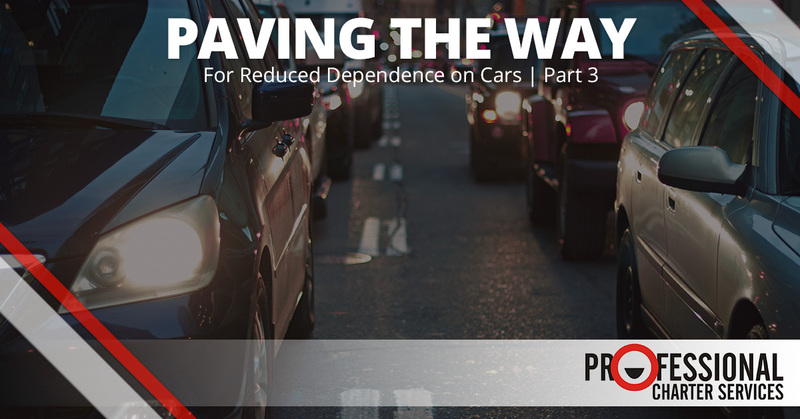 In part 1, we looked at the history of our dependence on cars and the problem with this continuing. In part 2, we looked at some of the barriers to implementing a viable model of public transportation that works for everyone. Today, we’ll share a few ideas for how we can bring viable transportation options to the table in a way that works for Americans. When you think of public transportation options, a number of things probably come to your mind. For the moment, we’ll put aside the obvious ones (city buses, trains, and ferries). These are already in operation, and at least in San Francisco, they are already working well. Still, many people are completely dependent on their cars, and these ideas could help. Park and ride models can only go so far when they involve people driving themselves and one or two guests to work. It’s far more scalable and efficient to have people from outlying areas drive to one central location where they can take a shuttle the rest of the way to work. These corporate commuter shuttles are quickly becoming a favored method of transportation for workers who have found homes in the cheaper surrounding areas around San Francisco. It doesn’t eliminate dependence on cars, but it does reduce it, requiring you to only drive partway, park where there’s still space to do so, and then go the rest of the way in comfort with someone else driving. In the first blog in this series, we looked at the practical fact that people simply can’t all live within walking distance of the grocery store and also have homes on half-acre lots. Short of relocating Americans into more compact dwelling arrangements, it would seem that grocery store runs will just have to be done by car. However, what can be a viable alternative is for people to get grocery delivery. In this way, the grocery store can combine the delivery for several people in one area all at one time, increasing efficiency and reducing the need for people to drive their own vehicles. This model can also be a vital service for seniors and people with illnesses that prevent them from driving. One of our observations is that there is a critical tipping point where the convenience of being able to drive yourself to the places you need to go on your own timeline comes up against the inconvenience of having to fight with traffic and then succeed in parking your car. When the balance tips so that it is more inconvenient to drive than not to drive, Americans will begin to favor other public transportation options. This is already beginning in San Francisco, and it is only a matter of time before it is the case nationwide. The more we look down the road and see this moment coming, the more we will be prepared when it gets here. Count on Professional Charter Services to provide cutting edge transportation solutions with our fleet of vehicles, including corporate commuter shuttles. Contact us for a quote today.